BrewDog seem to be calming down a bit. They’ve started doing more keg beer (rather than denouncing it as passé, although they don’t serve it in their bar), have one bar open and another two on the way, and seem to be concentrating on getting their beer brewed rather than trying to annoy some Germans. 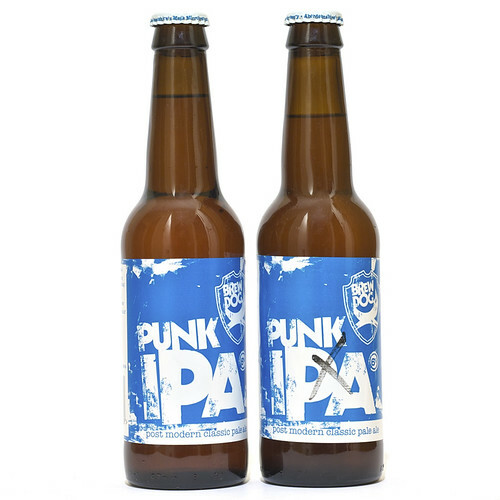 They’re still experimenting, as the bottles of Eurotrash I have on the side will attest, but one thing they’ve been doing is looking at their core range, especially the beer that started them off – Punk IPA. It was the first of their beers I tried, given away free at the February 2009 Twestival in London, and I rather like it, but things have moved on a bit since Martin and James opened their brewery – a couple of years of experience and recruiting means that not only do the bosses know more about making beer but they also have a team of people to work with when making new beer. As such they’ve had a reexamination of Punk IPA and brewed a new version, currently nicknamed Punk X.
I first tried the new beer in November at The Rake, where they did an evening with both on tap and asked for our opinions on which was better. A little while later some popped up in their online shop (and there’s still some left by the looks of things) and I grabbed a few bottles for reasons of ‘research’. Punk IPA is an in your face beer. That’s its reason for existence, to be big and punchy as a calling card for BrewDog, so it’s not necessarily a bad thing. However, again I assume as intended, it’s not a beer that everyone likes – I got to try a lot of it at the Twestival due to people having a sip, not liking it and then handing their bottle to me. When released it was very hoppy for a British beer and while hops are appearing in much greater concentration more recently (due to increasing numbers of hoppy US beers making their way over here, as well as BrewDog’s influence and the general cycling through of popular beer styles) Punk IPA is still up there. It’s not particularly balanced, with a big muddy hop swamping the nose and dominating the flavour. Behind that there’s an okay maltiness but as I’ve drunk more hoppy beers I’ve slowly gone off Punk. That’s not to say I don’t like it – it’s a nice beer on keg and cask, with a nice hop bitterness, and I usually have a few bottles of it in the fridge, but many of BrewDog’s other beers are nicer, as you’d expect due to it being their first. Punk X is an altogether different beast, despite coming from almost the same ingredients (from what I’ve seen they’ve added a malt and changed the way they hop the beer, although using the same hops just at different times and in larger amounts). The bottles I have are slightly hazy and it pours a bit livelier than the Punk (although I suspect this is just due to it being closer to the experimental stage) but even on the nose it’s very different. There’s a lot more green hops on the nose, smelling like you’ve just rubbed a bundle of leafy hops between your hands – resiny and pungent. 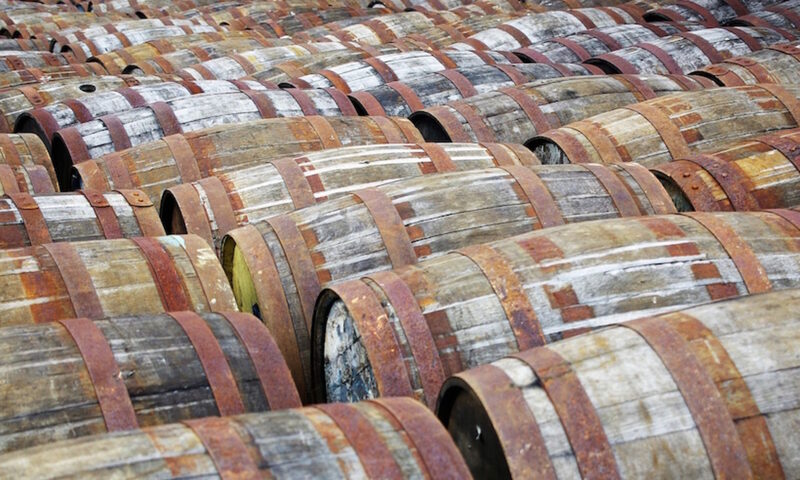 To taste a lot of that disappears, with the hops sitting quietly at the back of things. Up front is a lighter, more elegant beer, with some gooseberry-like fruit, apples, blossom and a pleasant dryness leading to the gently grassy finish. On tap it was, from my hazy memory, even more floral and fruity without quite so much of the overt hoppiness, and better than the bottles I have at the moment – something I suspect is due to it still being a changing prototype. The tap version was very much something I could see being a regular beer, but the bottle version I have at the moment is a bit less mainstream, with enough of the pungent hops in there to turn away regular drinkers. It’s interesting though, and has made me realise that I need to learn more about beer making yet again – this beer has even more hops in than the regular Punk IPA but the bitterness has been lowered from 68 to 45 IBUs. There’s more info on the differences between the beers in James’s post about the tasting at The Rake. One of BrewDog’s ideas is to replace Punk IPA with Punk X, with the tastings they’re doing generally ending with everyone being asked to choose which one they’d want to be Punk IPA in the future, and after a couple of pints at The Rake I quite happily chose the Punk X – that version really was rather special. However, thinking on it in a more sober state of mind I reckon that’d be foolish. They’re very different beers and while I think Punk IPA could do with some refinement I don’t think Punk X is its replacement. I don’t want the Punk X to go away (and have already bought a few more bottles from the shop) but reckon that with a little bit of BrewDog’s brand magic they could have another beer on their books. Big fan of brew dog and their beers are not for the faint of heart. I cannot wait to get out to the UK next year and visit these guys. I’ve seen some of their beer here in the US and I’m excited to see more UK craft beers as well.